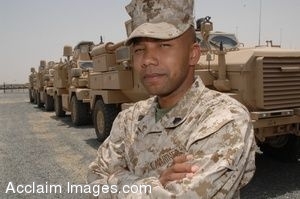 Description: Clip art photograph of a soldier standing by military trucks. The soldier in this picture is wearing camos and a cap. Clipart photograph by Department of Defense Public Domain.